“Swim Smart, Swim Safe: know the dangers of cold water” is the message coming from agencies responsible for boating and water safety on cold water lakes. Drowning incidents from boating, paddling and swimming often share the same cause, “cold water shock,” an involuntary gasp reflex caused by sudden immersion in cold water. Swimmers and boaters suddenly exposed to the cold waters of Lake Tahoe or other cold water lakes may experience rapid breathing, gasping, fainting, muscle failure and immediate risk of drowning. Most of the drownings on happen in minutes or even seconds. The best way for boaters, paddlers and swimmers to stay safe is to always wear a life jacket. Even if a boater or paddler does not expect to enter the water, they should prepare for the unexpected. “If you get into trouble in the water, a life jacket will save your life. We’ve seen it over and over. These fatal accidents can be avoided,” said Chief Game Warden Tyler Turnipseed of the Nevada Department of Wildlife (NDOW). We experience a number of water rescues this year. 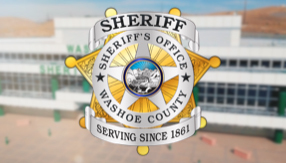 Deputies from the Douglas County Sheriff’s Office recovered three people after a Jet Ski accident this year. All three victims were rescued without serious injury because they were wearing life jackets, proving again that life jackets can make the difference between life and death. When the weather is warm outside, people are even more vulnerable to cold water shock if they fall in the lake. “We want visitors to enjoy the uniquely beautiful waters of of the Sierra Nevada's, but also be aware of the conditions and prepare themselves for cold water,” said Jay Howard, Park Supervisor at Lake Tahoe Nevada State Park. Tell a friend or file a “float plan” before boating, swimming or paddling. Check the weather for wind conditions http://www.weather.gov/ before going out. Know your swimming limitations and always wear a life jacket when boating. Never jump into cold water and always prepare for accidental immersion. Visitors can learn about safe boating and swimming safety by listening to an NDOW podcast on the subject at www.nevadawild.org. Boaters are required to carry a life jacket for every person on board any boat, including stand up paddle boards (SUP), kayaks and rafts. Children 12 years old and younger are required to wear a life jacket on a boat at all times, unless in an enclosed cabin. For more information: www.ndow.org.